Auuuugh what is this? It looks so boring and spiky! My eyes! These, boys and girls and others, are what your speech sounds look like. 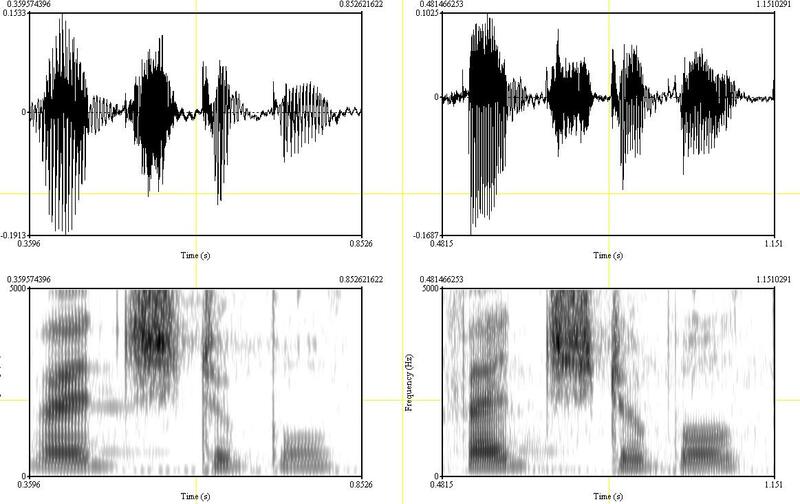 Spectrograms are one of the most useful tools in the speech scientist’s tool shed. Heck, they’re pretty much a Swiss army shovel. You can spend your entire career basically only looking at data in this one form. But spectrograms aren’t just a serious scientific tool; they’re also pretty fun. Aphex Twin, an ambient musician (I mean, he makes music in the ambient genre, not that he provide background music at canape parties. Sheesh.) uses spectrograms as an art form. This song, for example, has a picture of his face encoded in it’s spectrogram. Give it a listen and see if you can find it! Next ›Do subliminal messages (join the Illumanati) work?